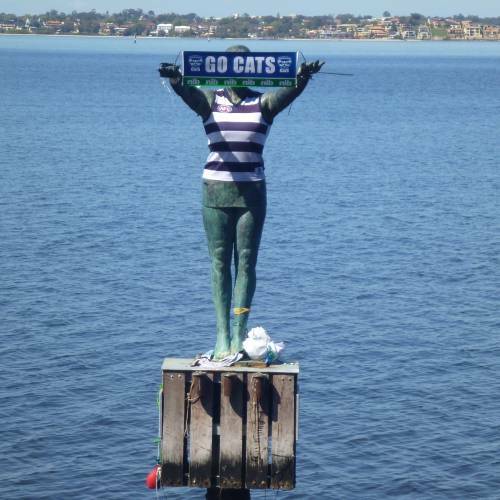 Well, I hate to say it, but it looks like Eliza has decided to support the Geelong Cats in this years AFL Grand Final. I suppose you have to barrack for someone, and without the Eagles or Dockers, it looks like her arm was forced. A very nice sign was made up for this event - it stretches perfectly to Eliza's armspan, great job! Were you responsible for this, are you a Geelong supporter living in Perth, we want to know. Post in you comments below.